Search for bartenders on the BOTY App from all over the world. Download on iTunes or Google Play for free! 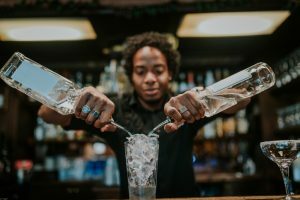 It happens millions of times each week – a customer goes into a bar and the bartender helps – but who helps the bartenders? Some consider the bar the most honest place in the world. Although debatable, no one can debate that the bar is the one place we go all over the world to celebrate the good times and express our frustrations during the bad times. The best bartenders hears and sees it all. So let’s celebrate the best bartenders.